Car diagnostics Reading How to Use Car Diagnostic Software for Instant Analysis and quick Diagnosis of your cars Engine management fault. What is a Car Diagnostic Software Scanner? 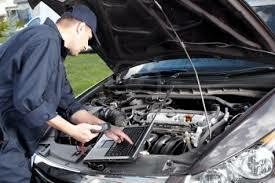 There are a number of ways that one can use a car diagnostic software. The On-Board Diagnostic System or OBD-II as it is called, is installed in most cars these days. The system is installed by the manufacturers in different areas of the car such as the space under the seat and also the area underneath the dashboard. Since the device is located everywhere, it is easy to get an accurate reading of the car’s performance. This is great for those who wish to save some extra money that would be otherwise spent on getting the car’s performance meters analyzed regularly. Now that we have seen where the car diagnostic reading tool is located, let us go on to see how one can utilize the software to its fullest potential. An analytic chart that gives you the breakdown of the codes that the OBD-II displays. Installing the Scanner Software: If you have invested in a scanner, the next step is to install the software that is affiliated to the scanner onto the laptop or phone that you wish to use. Before doing so, however, it is important to keep in mind that some softwares are incompatible with certain devices. Checking for compatibility before purchasing the scanner is crucial in order for the diagnostic tool to work. Connecting the Scanner to the Laptop: Once you have downloaded the software onto your laptop and run it, to ensure that there are no technical glitches; it is time to connect the auto scanner to your car. Since you have already installed the scanner software onto the laptop; it will automatically read the codes that this scanner displays and help you get the perfect car diagnostic reading. In order to connect the scanner to the car, locate the port in your car. The port is normally under the dashboard. If you are having any trouble finding the port, looking up the user manual might be useful. Once that is taken care of, simply attach the scanner to the car so that the auto tool can accurately read the data. Reading and Translating the Codes: After you connect the scanner tool, the next step is to let the software do its work. Since the tool is attached to the laptop, you will be able to see the codes as they are being scanned by the scanner. Once that has been done, you can use the analytical manual to translate the different codes. This will allow you form a good idea of what the problem is, so that you can repair your car with no additional cost. If you are looking to invest in a device that can fix your car’s problems in the long run, then one of the things that you should look for is the auto car scanner. A simple but effective tool, scanners display the perfect car diagnostic reading so that you can find the best solution to your car’s problems in a fast and cost effective manner.